Three anonymous whistle-blowers – who claim to be Crown Casino’s ex-employees – made these serious allegations on a video interview tabled by Tasmanian politician and independent MP Andrew Wilkie. The 30-minute heavily-filtered footage was recorded at the Australian federal parliament on Wednesday. The former employees also revealed allegations of drug use and domestic violence on Crown’s premises. The whistle-blowers claim that the casino used a team of experts to change game odds on the slot machines in order to reduce returns to players. Casino staff were instructed, by management, to use objects to jam buttons on the slot machines to allow players to gamble automatically – which is in breach of Australian gambling regulations. The sources also reveal shocking allegations of fraudulent activities in the casino. They claim that Crown employees would encourage gamblers at the casino to use different identity cards when playing – this for the casino to avoid reporting amounts over 10, 000 Australian dollars to Austrac, a government financial intelligence agency responsible for monitoring money laundering and other illegal activities in Australia. Any transactions over R100 000 are required to report to this agency. The former workers at Crown, one identified as a technician and the other as a gaming attendant, also made allegations of domestic abuse at Crown’s hotel. They mention how the resort turned a blind eye on an incident whereby an international guest and player at Crown Casino assaulted his wife. The sources say Crown Resorts failed to report the matter and instead separated the couple into different rooms. The interviewees also allege that on a daily, casino players would openly smoke marijuana at one of the VIP gaming rooms and no action would be taken by management at the casino. The resort, owned by multi-billionaire businessman James Packer rejects the claims in a brief statement to the Australian Stock Exchange. It says it calls on the MP to submit immediately, all the information relating to the allegations to relevant authorities. According to numerous reports, Crown Resorts’ shares declined by more than 8 percent when these allegations surfaced. The resort lost more than AU$350 million in share price. 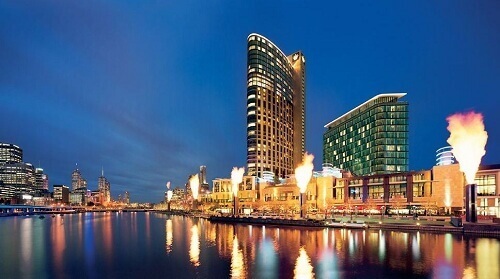 Relevant authorities are looking into the allegations against Crown Casino and the resort’s hotel.